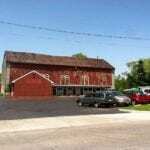 Home / Barn / The Barn has a complete new paint job! The Barn has a complete new paint job! Historic Barn Painting project. 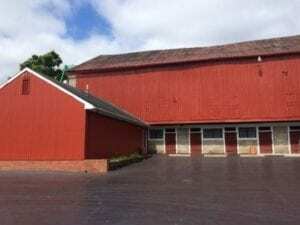 The Delaware County Historical Society, with help from Garth’s Auctions, has given the historic Garth Oberlander Barn a complete exterior refinishing. 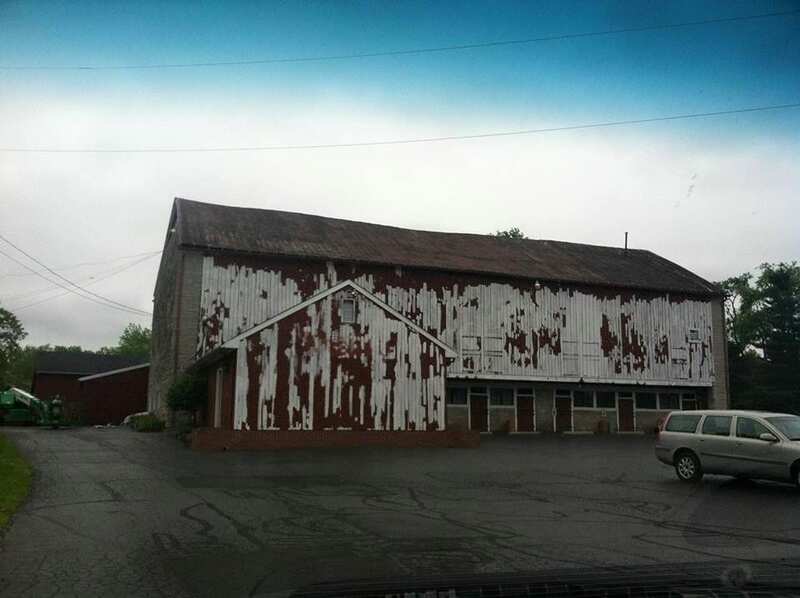 The Garth Oberlander Barn has been a Delaware County landmark since 1840 at its gateway location on US 23 and Stratford Road. This “before” picture shows the fading that is the natural result of wind and weather. 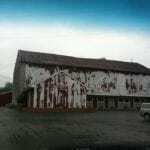 A work crew, using bucket trucks, took days to inspect and scrape every surface of the historic barn. Any loose paint must be removed. Any loose nails must be secured to make the best surface for the new coat of paint. It has taken a while and a lot of work, but the Garth Oberlander Barn has a complete new paint job. The traditional Barn Red color has been freshly applied and all the trim given a new white finish to ensure this Historic Barn will look good for many years to come. 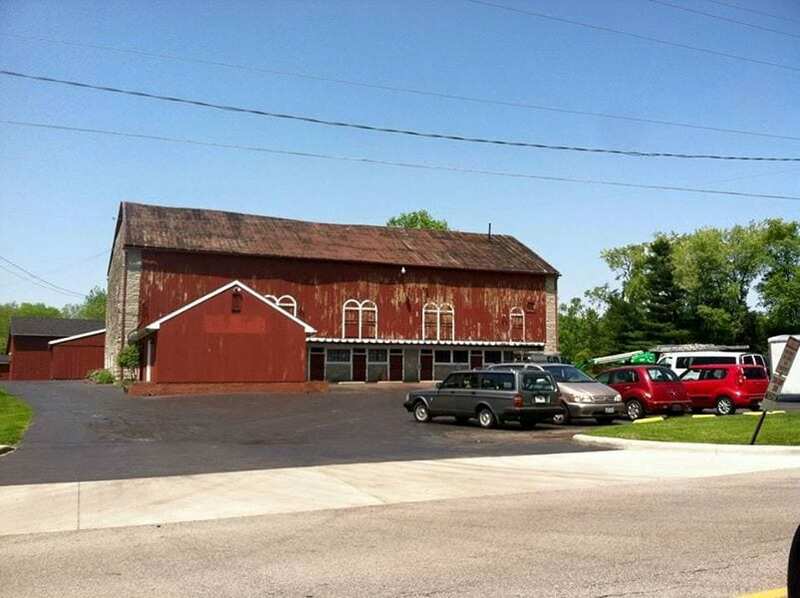 This Historic Barn will be The Barn at Stratford, an events venue opening in 2016. The renovation and events venue are projects of the Delaware County Historical Society.